As the crowd roared, the music became lost in echoing screams. The fans were so loud that the music was drowned out for a short period of time, but the fans died down and once again were able to enjoy “Smile Back.” As the smell of nachos and hot dogs wafted up to my nose, I saw people laughing and smiling, dancing and singing along to the music. I felt the people to my left and right closing in on me from their dancing, but I did not mind. Mac Miller stood on stage and hopped around while mixing up his rap songs and slow songs, and I began to realize how much people admired his music as the crowd sang every lyric from “Missed Calls” from memory. When “The Star Room” came on, the crowd of 1,800 people screamed and clamored to it throughout the entire song. As sad as it was to accept, the night had to come to an end as Mac Miller and company exited the stage and disappeared, not to be seen again in that venue for quite some time. For what seemed like an eternity, the fans still buzzed with electricity. Talking amongst themselves, some screaming still from all the excitement, Miller was seen walking and the crowd erupted once again. This was by far one of the best concerts I was fortunate enough to experience. As many other WO students have been to some sweet concerts, WO teachers have also had some great times at concerts around the world. Here are some of their stories. Instructor Kyle Plank has also been to plenty of concerts over the years. He’s seen bands perform like U2, Van Halen, Kid Rock, Beastie Boys, Tool, Blackberry Smoke, Guns N Roses, to name a few.The shows were very memorable, but Plank had two in particular that he enjoyed the most. “As part of a trip to London to visit a friend of mine, I got tickets to see Pearl Jam at Wembley Arena. I had wanted to see them for such a long time. It was such a unique experience walking around the neighborhood surrounding the arena before the concert. All of the places that we went to were playing Pearl Jam on their speakers. The highlight of the concert was when Pearl Jam played ‘Alive’. At the height of the song the entire stadium was raising their fists in the air in unison screaming “Yeah! !” along with Eddie Vedder; It was awesome,” Plank said. Plank enjoyed meeting people from all around Europe. Places such as Italy, Ireland, Sweden, and Czech Republic. 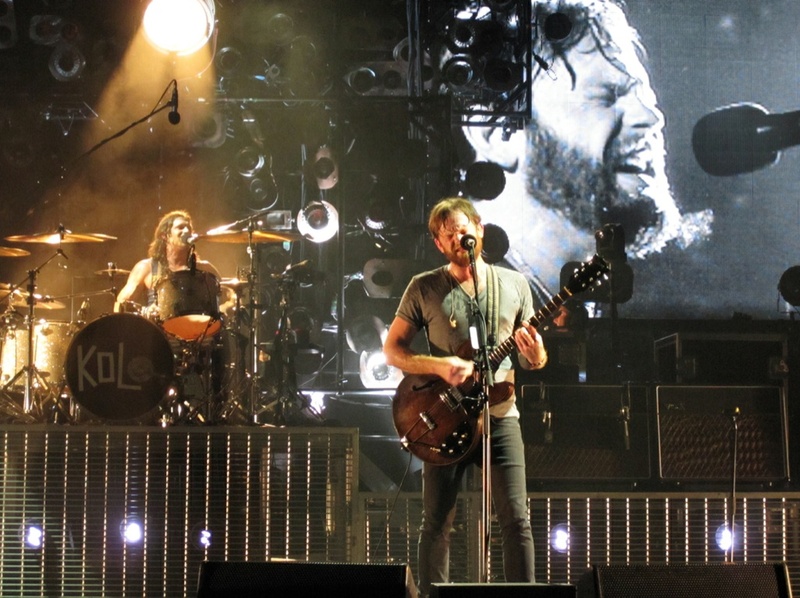 The second of these concerts was Kings of Leon. “I had purchased tickets from StubHub and they were supposed to be delivered prior to the concert date. Never happened. I called StubHub the morning of the concert as we were driving to Detroit. They said the tickets were not made available and they would refund me the money. So, we’re in Detroit with no tickets. We spent the afternoon and early evening going from place to place, and on the street, asking if anyone had any extra tickets, to no avail. At one place, I got to talking with a guy about our predicament. Turns out he worked at the Fillmore. He said to meet him around the corner of the building shortly before the concert started, and he’d hook us up with some wristbands that would get us on the floor in the pit in front of the stage. Ended up front row with a mass of humanity behind us, just feet away from the band. It was great. We walked out of the venue soaking wet from sweat because of the heat and humidity, and energy expended in the pit. Another great experience,” Plank said. Instructor Andy Hamilton has not attended many concerts but has a fond memory of one when he was young. “It featured The Wallflowers, a band I was convinced was going to be the next great thing in music. A friend of mine got tickets and drove over to Muskegon (I think) to see the show. It was great because they only had one album out and they played all the stuff we knew. They pretty much never had a hit after that first album but I still play their channel on Pandora sometimes and pretend I’m not getting old,” Hamilton said. Instructor Jeremy Heavilin has attended a variety of concerts, ranging from AC/DC to Taylor Swift. Heavilin has also attended Jimmy Buffet concerts five times and a Metallica concert once as well. “Taylor Swift by far was the most thought out production, great energy, and song choice. 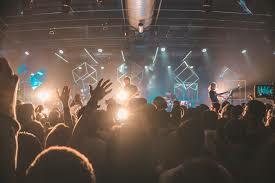 I took my 9-year-old daughter and watching her sing every song with the biggest smile on her face may have influenced my verdict,“ Heavilin said.. “[There were] thousands of screaming fans and a few dads. [It was]high energy, well thought out, and she introduced each song and told what it meant to her. She is a gifted writer. The stage swung out over the audience. It was amazing no matter what genre of music you like,” Heavilin said. These three teachers aren’t the only ones who have been to some amazing concerts, check back in two weeks for more stories like these. Wait for more stories of the coolest concerts to be available soon.